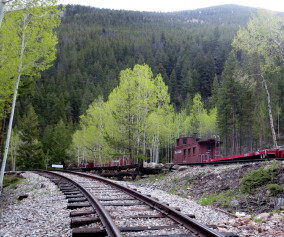 The Davis Ponds loop is a short and easy hike, perfect for young families. Davis Ponds is a great place to take your kids fishing near Denver. Explore the full trail profile below for all the details: hiking trails, trail map, and detailed directions to the trailhead. 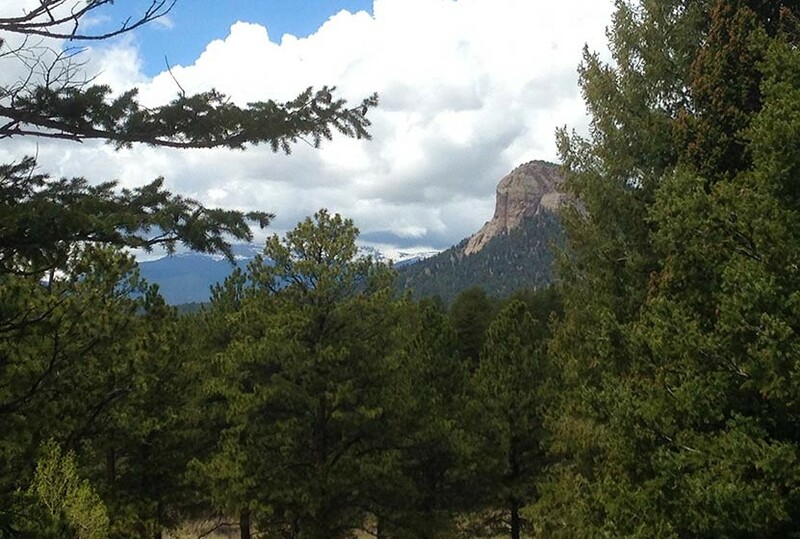 Staunton State Park is one of Colorado’s newest gems and located just 45 minutes from downtown Denver. 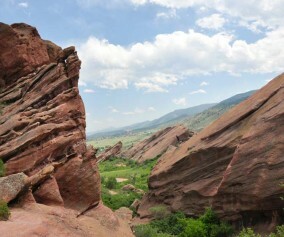 It’s a great park for outdoor activities, including hiking, mountain biking, and rock climbing. 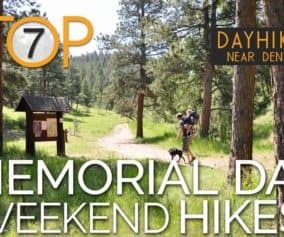 Staunton has some longer and more demanding trails, but this hike, the Davis Ponds Loop Trail, is a lighter option with some beautiful views to the mountains and the prominent Lions Head outcropping. The trail begins just to the north of the initial parking lot (pictured above). We hiked the trail clockwise, taking the trail to the left, but it can be hiked in either direction. The Davis Ponds trail is hiker-only, so you will not encounter any mountain bike or horse traffic, making this perfect for young kids. There is scattered shade as the trail winds in and out of meadows and pine forest. Deer make their way grazing near the trail and hummingbirds buzz by, finding nectar in the wildflowers growing out of the rocky soil. Before the ponds, there is a cut-through trail that can be used to shorten the hike by approximately 1/2 mile, but it’s worth going all the way to Davis Ponds and to gain views to the west. 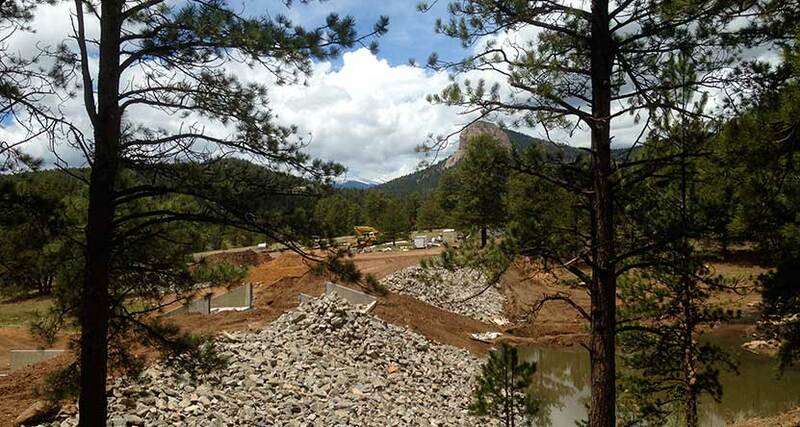 The Davis Ponds were under construction and improvements while we were there, but they have now been finished and stocked with rainbow and cutthroat trout. 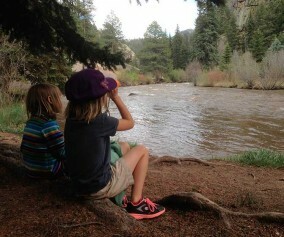 If you are looking for a weekend destination near Denver to fish with your children, this may be one of the best. On the way back, the trail will merge again with the cut-through trail. The trail back to the trailhead bears left and slightly uphill. 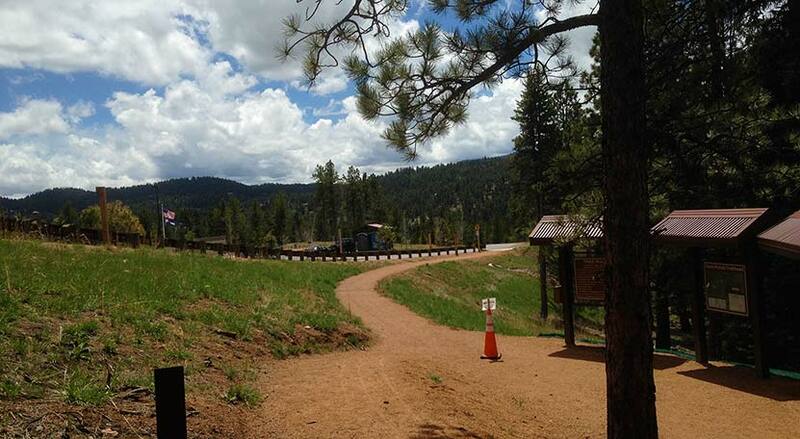 TIP: Getting into the park can be slow at times, so be prepared to wait at the entrance on busy weekends. Wildlife: You’ll find that deer are out grazing in the early morning and closer to twilight. Winter: During the Winter, park hours are 8am – 7pm. 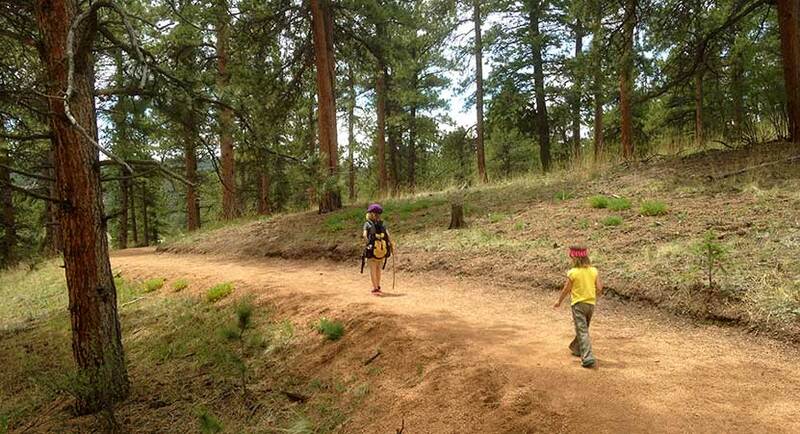 This was a very mellow hike – perfect for little ones. Very low key. The rock formations were fantastic.